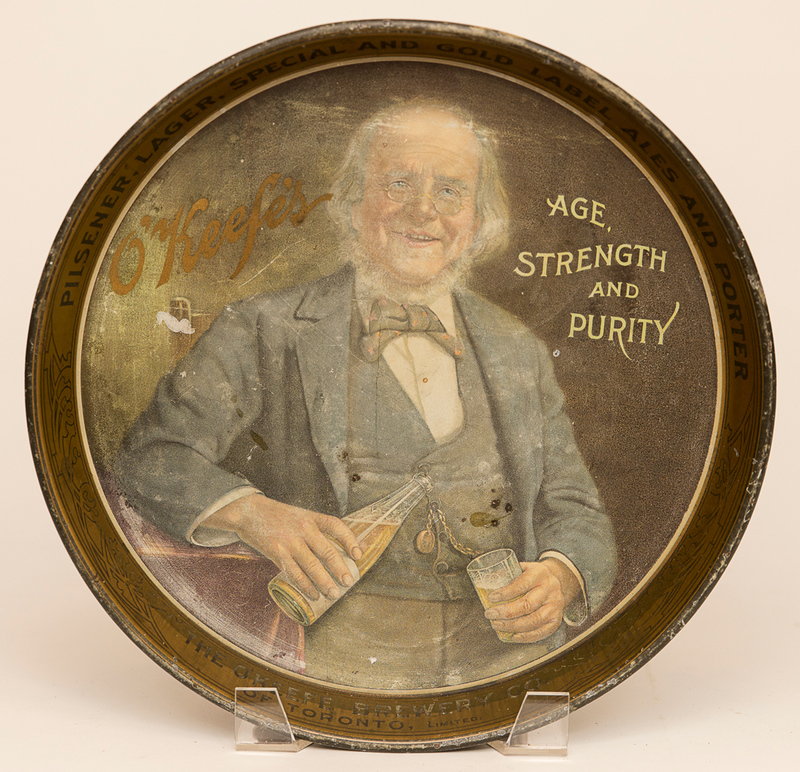 Pre-pro tin litho advertising tray for O'Keefe's Brewing Company of Waterloo, Canada. Tray has image of old man pouring beer. The main field of the tray is worn and faded which has degraded some features of the tray.